Whether we realize it or not, who we are, what we say, the way we react all have an influence on those around us. In some cases those around us become better people because of our influence. Unfortunately, at other times our influence can have negative effects as well. 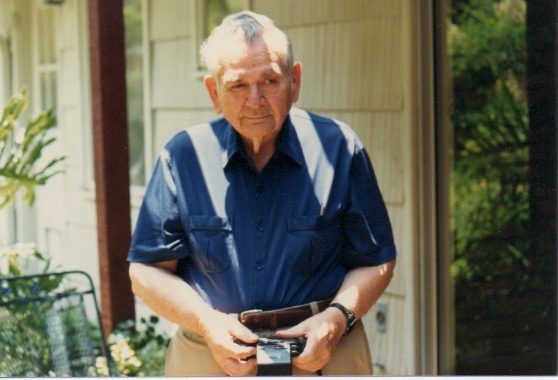 My grandfather had a profound and positive influence in my life. I learned the value of hard work, the need to earn and save, to respect a person’s time, how to apologize and how to treat my wife. Some of the lessons were spoken others were taught by example. When I was just a kid my grandfather gave me a camera. I still remember the model. It was a Kodak Instamatic 44. How much of an influence did that first camera have in me choosing the profession of photography 25 years later? I don’t exactly know, but I’m sure it played a part. Who we are influences. That influence will be lived out in someone’s life 25 years from now. Lets hope that they can look back on our influence as fondly as I look back on my grandfather’s.